Moving is a complicated process. It will involve every aspect of your life, from your furniture to your friends, and keeping everything in mind can be difficult. Picking a moving date requires figuring out when you need to be in your new place and what days would be best for you. Listing your possessions is the first step to figuring out your type of move. Once you know what you need to move, you can figure out how to move it. Deciding how you will move requires looking at the pros and cons of your moving options: full-service, you-pack, rental truck and DIY moves. 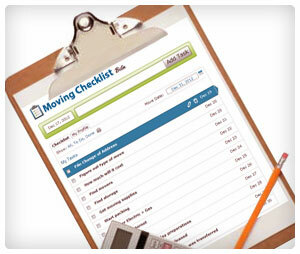 Once you decided how to move, calculate how much your move will cost. If you’re strapped for cash, or if you don’t have a job lined up in your new city, you should create a moving budget, too. Depending on how you’ve decided to move, you’ll probably need to hire a moving service or two, including full-service movers, moving pods, rental trucks, packing services, and storage. Finding that service is easy; making sure its a reputable moving service is a bit tougher. Make sure to change your address with the post office so that your mail is forwarded to your new home. Transfer your utilities, or connect new ones, so that you have power and Internet when you move into your new home. Get the necessary moving supplies so that you can start packing and preparing for your move. Learn how to find free moving supplies, and check out our list of the most important moving materials to have on hand. Prepping and packing is the last step before moving day. It includes packing, cleaning, and selling your things that you won’t be taking with you. If you feel like you have the logistics down, check out our over 30 moving tips.